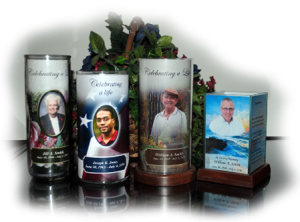 We are especially pleased to have been the creators of the original tribute candle. Patent Number 6,8800,167 was awarded to Lifelong Memories by the United States Patent Office for specific techniques and our approach to creating funeral personalization products. 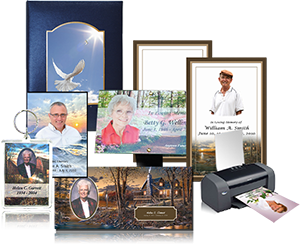 Lifelong Memories is known as the most innovative provider to the funeral industry. This extensive software development experience over the past 2 decades ensures that the software you receive will be easy to learn and use. Intuitive, natural features mean even those who are not completely comfortable with a computer are able to work with this customized software. With this in mind, Lifelong Memories is able to provide unlimited support to each and every customer. Lifelong Memories always provides you the highest quality and most innovative products available. Our family guarantees it.